Over the last few days, I have been afflicted with a strange illness. No no, its not the Swine flu!! But its just as serious!! Let's just call it the "why-am-I-still-single-please-get-me-a-girlfriend-quick" syndrome.You may think I'm joking, but believe me, I'm not!! This is serious stuff people!! 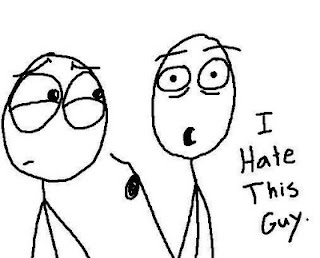 It all started off around a month ago, when a certain grade "A" muggu moron, asked out one of the nicest girls I know. 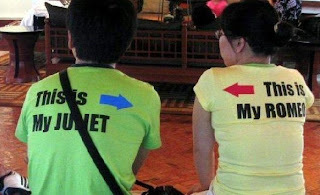 Obviously my first reaction was "Hehe, this bum actually thinks he can go out with her...this is bound to be funny!!". But I was wrong!! Not only did she say yes, but as the days went by, this guy actually managed to keep her happy, and many people actually accepted these two as a pair!! Now that got me completely bugged!! Why?? 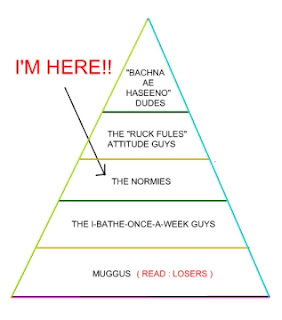 Because in an Indian college, muggus are generally at the bottom of almost every pyramid you can think of, right from the people who can play soccer list, to the people to invite to that late night CS session list, to the most date-able lists!! But the very fact that this freak-of-nature managed to get hooked, while yours truly remained single just blew me out of my mind!! I want to change my status in Social Networking sites to "committed"!! But here's the catch..... I first need to get committed to a girl. 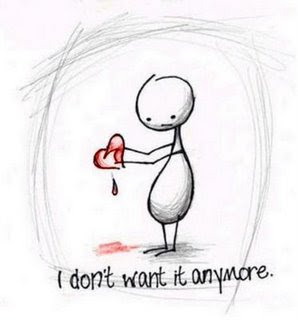 I call my current state a sickness, because I'm pretty sure this is just a temporary phase, and this miserable feeling of being single will go away soon..... Oh yeah, I'm sure!! But right now, all I want is someone whom I would be able to call my girlfriend (for real)!! I don't have the balls to just walk upto any girl and say ‘Hi! Have we met before? ?’ And practically speaking, it is simply impossible to talk to any girl out there on the street. We always hear of stories like - "You heard of X? He just found his love at the mall! And now they are dating ..." Believe me, these fantastic stories only take place in people's fantasies! !This leaves the option of a long distance relationship with one of of my schoolmates..... but somehow, the idea of not actually being close to 'her' nudges me away from this idea. And most of the "offline" girls I know are all either taken (some even by these goddamned muggus), while others are blissfully single and ignorant of my condition!! Most conversations I have with girls look more like interviews, with me portraying the role of the interviewer shooting out questions like: "How're you??" "What are you doing now??" "Met so-and-so recently??" and ofcourse the most popular showstopper "So what else?? ".......most conversations end within minutes of me popping this question!! This is usually how things progress at my end. However, there have been exceptions!! And I'm seriously hoping that one of these "exceptions" works out in my favour!! Over the last week, four very interesting girls have given me their contact details....hopefully something clicks! !I have made blunders in the past, which have been totally successful in keeping me blissfully single till date!! Lets just hope that this time will be different!! Sniff Sniff... No wonder I like this track! !